Offering 5 Star Visit Britain accredited accommodation, a beautiful garden, an award winning breakfast and the level of attention to detail that can only be achieved by a small owner run B&B. 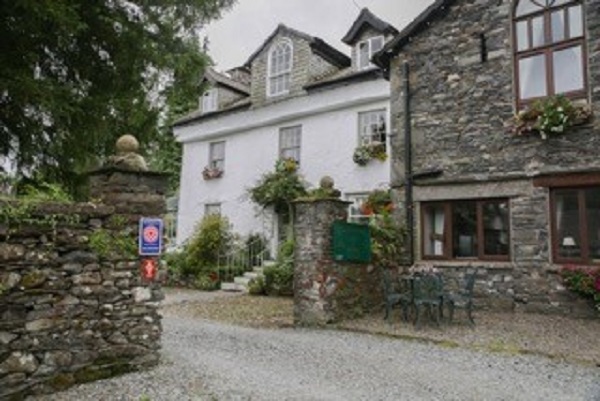 This lovely traditional English Lake District country house set in beautiful gardens and dating from late 17th century is located in a beautiful and peaceful setting, yet only a short stroll from the centre of Hawkshead. The Veranda -(Super King or Twin + Family) Perfect for those looking for tranquillity and their own piece of private outside space. Children over 12 are welcome. Sorry No pets. The Barn Self Catering Accommodation. 2 Bedrooms, Sleeps 4 + 1 well behaved dog accepted. Saturday changeover. Fantastic views across the fields and towards Fairfield with everything you need for a great self catering holiday.